The dry root of perennial herbaceous plant Peucedanum praeruptorum Dunn. of family Umbelliferae. Zhejiang, Henan and Hunan provinces in China. Collected in autumn and winter when stem and leaves wither or in early spring before stem sprouts. Fragrant, slightly bitter and pungent. Thick root, thick peel, soft, oily spot on the cross section, dense fragrance. Bitter, pungent, slightly cold; lung meridian entered. Dispel phlegm and direct qi downward, disperse wind-heat. 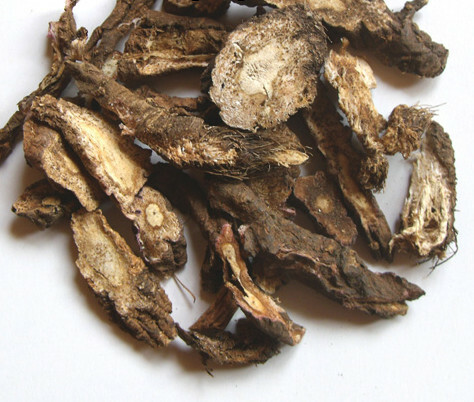 This herb can clear heat because of its cold nature and is good at dispelling phlegm and sputum to direct lung qi downward, indicated for phlegm-heat accumulation of lung and lung failure of dispersing and descending manifested by cough, dyspnea and chest fullness, unsmooth expectoration, yellow and sticky phlegm as well. For phlegm-heat accumulation of lung, it is combined with heat-clearing and phlegm-resolving herbs, as well as lung-ventilating and qi-descending herbs. For instance it is combined with Xing Ren, Sang Bai Pi and Bei Mu in Qian Hu San from Sheng Hui Fang. For the syndrome of cold-phlegm and damp-phlegm, it is combined with herbs with warm nature such as Bai Qian and Ban Xia because it is slightly but not obviously cold in nature. This herb is pungent in flavor and lightly cold in nature. It can not only dispel wind-heat but ventilate lung qi with the combining actions of resolving phlegm and stopping cough. For external contraction of wind-heat and profuse phlegm, it is combined with wind-heat-dispelling herbs and lung-ventilating and phlegm-eliminating herbs. For instance it is combined with Bo He and Niu Bang Zi from Shi Bing Lun (Treatise on Seasonal Diseases) with the treatment of releasing exterior by pungent-cool property. 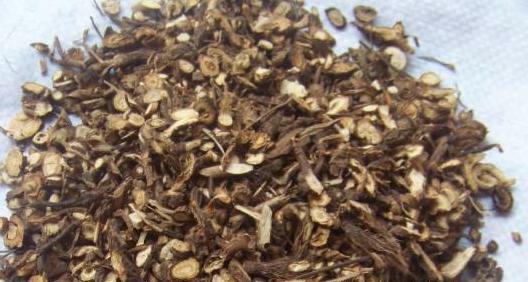 For cough due to wind-cold, it is combined with pungent-warm dispersing herbs. For instance it is combined with Sheng Jiang and Zi Su in Xing Su San from Wen Bing Tiao Bian. Decoct 6~10 g, or make pill and powder. The dispersing action is obvious when used unprocessed indicated for cough due to external contraction. The cold nature decreases when processed with honey with the mild action of moistening lung. It is mostly indicated for the syndrome of long-term cough leading to lung deficiency or dry cough with scanty phlegm.